These beautiful colour correcting pens work just like a Touch Éclat with the clicky pen applicator, but rather than concealing and illuminating, they neutralise. I have a lot of redness on my cheeks and pretty dark under eyes, so I was very keen to try the green and apricot pens. I've tried colour correctors in the past without much success, so I'd not given colour correcting a try in a long while - I usually just try my best to conceal instead. To be fair, the correctors I'd tried before were quite cheap and low quality - the colour was in a palette form and the product was quite greasy in texture and lacked substance so there wasn't much of an effect on the skin. 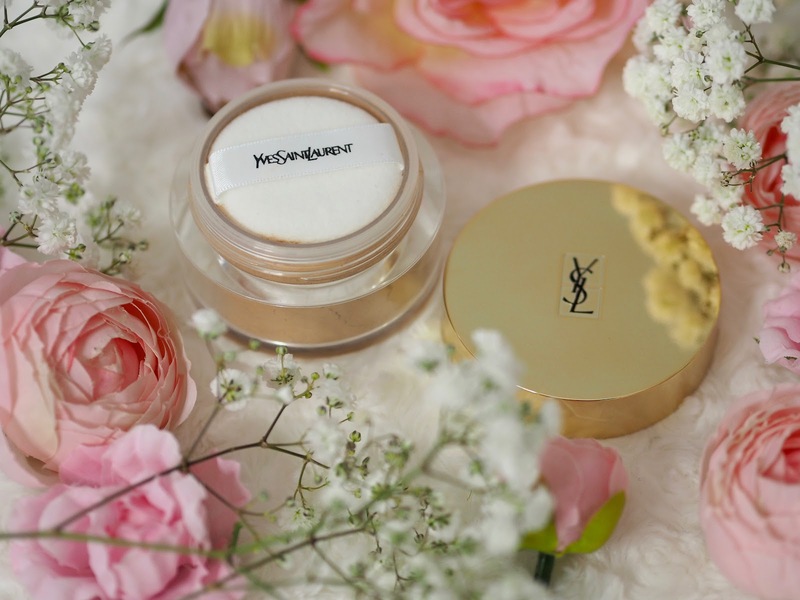 The YSL correctors are really pigmented and have a more dense and creamy texture, so immediately I knew I was working with something in a different league! The Apricot is my favourite as it does an amazing job at neutralising around my eyes - I'll add a layer of this and then a layer of the original Touch Éclat and it brings so much light to that area of my face and makes me look so much more awake. The Green is also really good for redness - I'll draw a few lines across my cheeks and forehead and blend with a sponge before applying my foundation and it gives me a really evened out complexion. The Violet shade is for dull or sallow looking skin and corrects yellowness - much as I've searched my face as I really want to try this one, I don't appear to have any yellowness, but I imagine this works just as well as the other two. I'm so happy I've given colour correcting another try - it does work! These pens are limited edition, so I'll definitely be getting a back up of the Apricot as it's worked so well on my under eye circles. The original and best! I remember seeing a clip of Geri Halliwell using a Touch Éclat back in the good old Spice Girls days - she was applying loads under her eyes and I instantly wanted to try it too! Back then I didn't understand that Touch Éclat is an illuminator more than a concealer and that it works by reflecting light. It's a product that I tried but really didn't need as a Spice Girls fan, but now in my thirties it's a real life saver. I have a dry under eye area, so heavy concealers that may well cover the darkness but leave a crepey and cakey look which can be so ageing. Using something light weight and illuminating is a much better option, and this formula lasts really well on me and is super brightening. I have shade 1 - luminous radiance, and as I mentioned, using this on top of the Apricot corrector is my new favourite way to look wide awake! The Instant Moisture glow is a product that's somewhere between a moisturiser and a primer. It offers an additional layer of hydration for the skin alongside some blurring and perfecting properties. It has a really nice, light texture and applies very easily, just like a moisturiser. I found that it definitely helped my skin in terms of added hydration, but personally on my skin where I have very visible pores, I need a more heavy duty kind of primer to give me that smoother look. 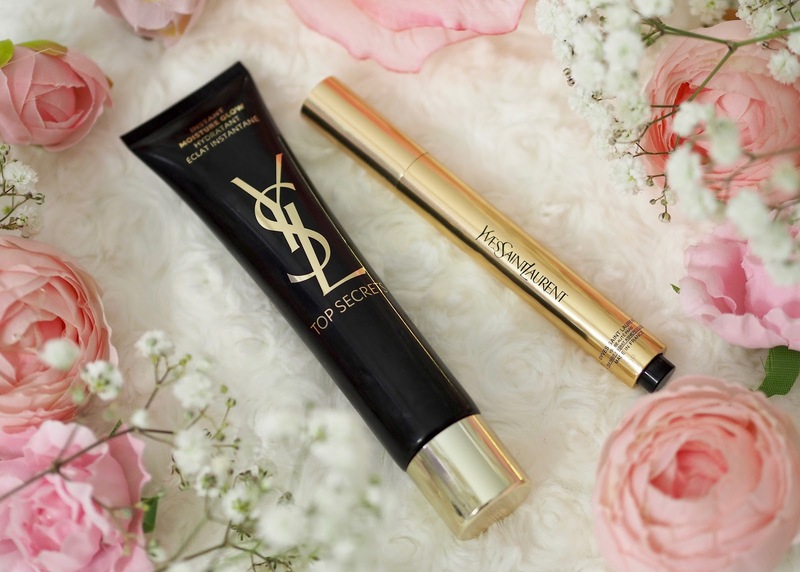 I really like the YSL Touche Éclat blur primer, and find that one more suited to my skin - I also really like the slip that gives when applying makeup on top. 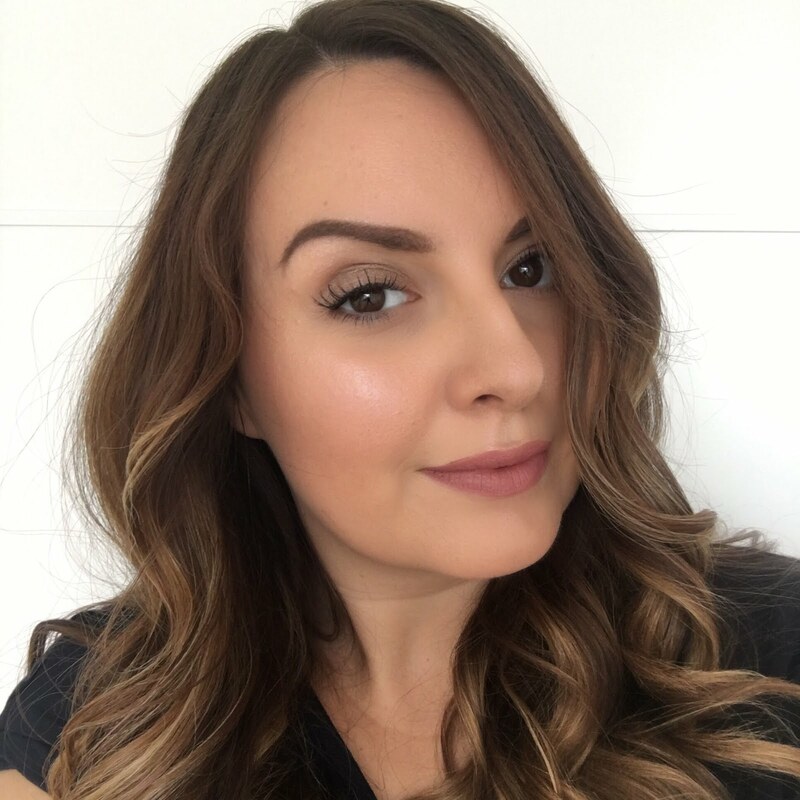 The Touch Éclat foundation is great on me too, so I think it's something about the formula of that range which just gels really well with my skin. I think the Instant Moisture Glow would be a brilliant product for people who don't like primers because they find them too heavy or don't like they feel of them - this one has the feel of a moisturiser whilst still giving your skin that something extra. I've tried this underneath the Touche Éclat primer, and whilst that might sound like a lot of layers, they work really well together as the Instant Moisture Glow boosts my skin's hydration and gives it a great baseline while the primer takes care of the blurring and helps my foundation to glide on. I was so excited to try this powder as I've seen some huge bloggers and vloggers talk about this as a holy grail powder. It's a loose finishing powder which is designed to set makeup whilst also giving a perfected and radiant, flawless finish. It sounds like my dream powder formula, so it's such a shame that I accidentally got a shade that's too dark for me. 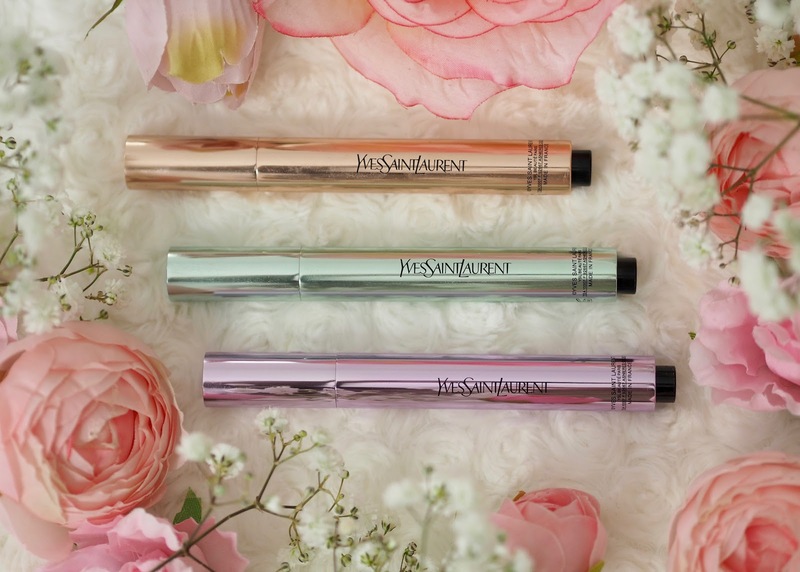 The powder comes in four shades - rose, apricot, peach and golden. I have golden which is fairly deep - I have tried the powder on my face and I loved the texture and the finish, but it was too dark for me. I've popped this one to the side for now but I'll be running to get it back out in the summer time when I'm tanned as hopefully by then it'll be perfect. The YSL complexion range is available now at YSL Beauty. 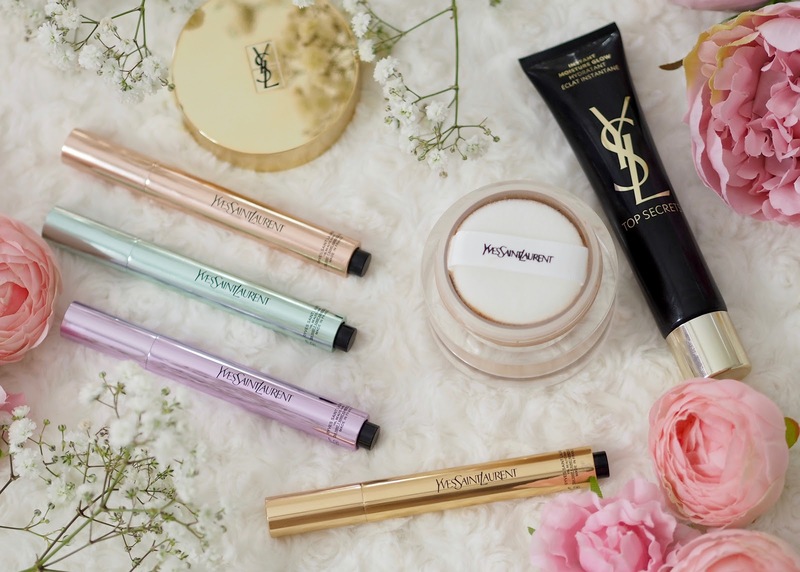 Have you tried any of the YSL complexion products?